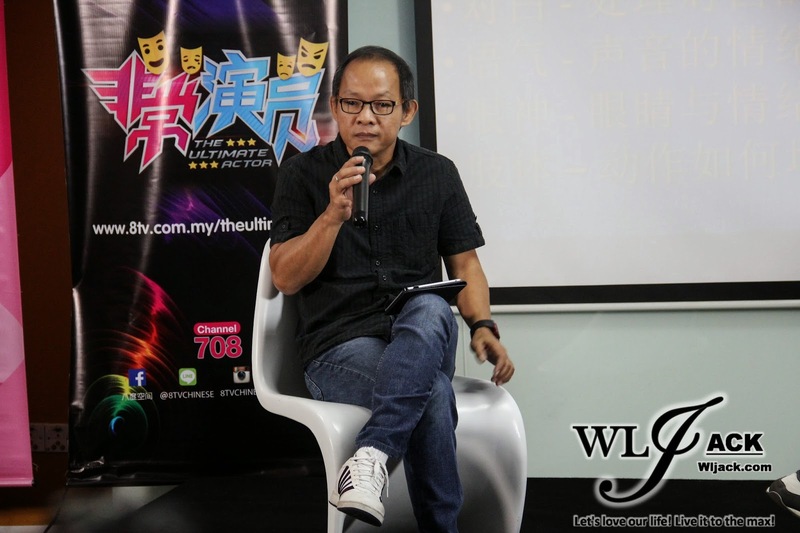 Kuala Lumpur, October 2014 - Presented by 8tv & Media Prima , produced by Primeworks Studios, “The Ultimate Actor” 非常演员, the latest reality program show provides a once-in-lifetime opportunity for the acting enthusiasts to chase their dreams in this career! 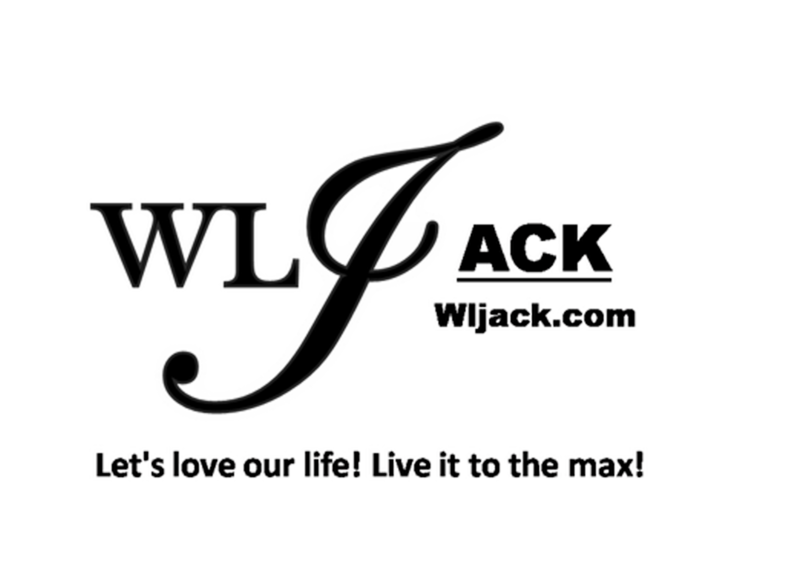 A few days ago, our team from wljack.com & loong-updates.blogspot.com have been given the chance to do a coverage on the workshop held in conjunction of this brand new TV programme! The Ultimate Goal Of “The Ultimate Actor” 非常演员! Open For Registration! 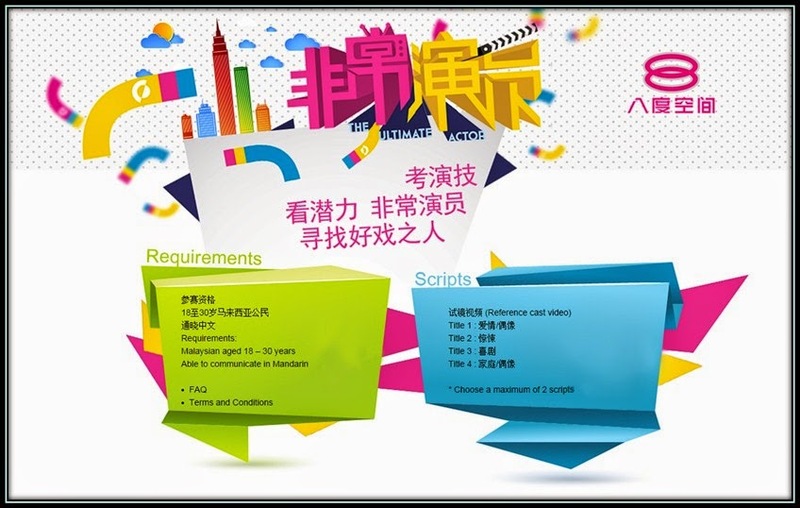 “The Ultimate Actor” 非常演员 aims to discover new and passionate Malaysians from the age between 18 – 30 years old, who can communicate well in Mandarin language! The contest is open to non-contracted actors, or contracted actors who have received permit from their current management companies to take part in this contest. If you possess these criteria, then you should give it a try! Workshop Sharing! Tackled On Different Aspects Of Acting! 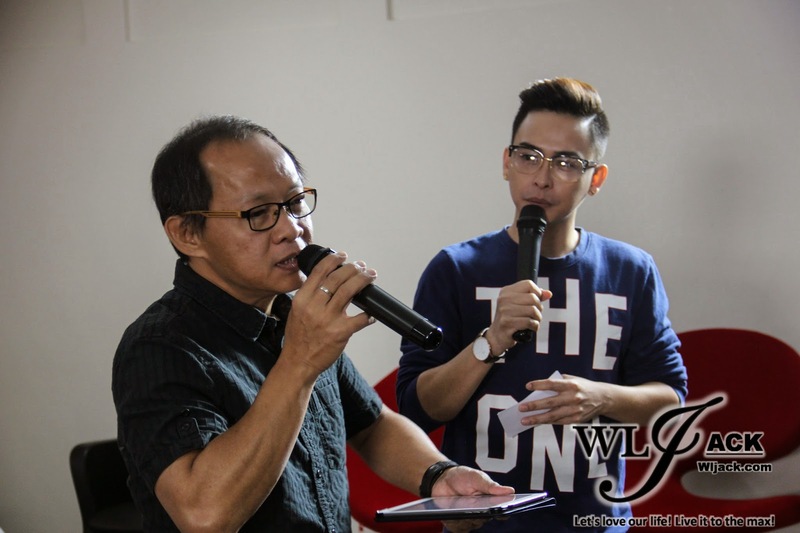 During the workshop that day, a lot of advices and hints were shared by the celebrities who have attended such as Jojo Goh 吴俐璇, William San 辛伟廉, Tiffany 绰琦 & best director of “Golden Awards 2014” 郭福华. About Acting: The scripts, dialogues, tones, gestures and eye expression! During this topic, director 郭福华 has shared with the participants on the basic elements in acting. He mentioned that before the actors accept the script, they must first know more in details about the background story of the characters in which they are playing as, the relation of the characters with other characters and etc. In daily life, all of us are acting as our ownselves. But in a drama or a movie, we need to act as someone else such as like our friends or people from different categories of age. If you are lucky, you might be able to get a role which is similar to yourself. But, another problem with getting such role is, you still need to think of a way to make your character stand out! Celebrities sharing on their experiences as actors, their ups and downs in this career! Apart from the sharing by director郭福华, the workshop has also invited popular celebrities including Jojo Goh 吴俐璇, William San 辛伟廉 and Tiffany 绰琦 to give some advices as well as sharing their personal experiences to the participants! Each of them have shared the stories of how they have started out as an actor. All three of them have been in this industry for more than 5 years since their debut. 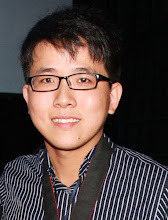 William San 辛伟廉 has shared with us about how punctuality plays a crucial part in acting. Acting is a work that involves teamwork. There are many crews who are working behind each scene. If any of the actors involved was late, he/she would be wasting not just his/her time but the time of the whole team. Many years ago when he was acting the dramas by Mediacorp, the rules and regulations that time was very strict. Once anyone arrived late for even 5 minutes, he/she would be reported to the superior and might get into trouble. Learn Acting From Observation! Coping Pressure Is Essential! Jojo Goh 吴俐璇 mentioned that actors/actresses will be obtaining many different kinds of roles from time to time. Thus, besides putting in efforts in studying the distinct characters, we also need to learn how to observe from the people around us and get inspirations from them. Besides, mentality also plays a major part in being an actor/actress. As an actor/actress, you must learn how to cope with pressure and learn how to deal with it! Open Up Yourself! Immerse Into The Role! It is also a must for an actor/actress to be more open-minded. Tiffany mentioned that an actor/actress must try to immerse into the role in which they have accepted. The main aim of playing your role well is to help the screenplay writer to deliver their stories to the audiences! Apart from that, she also shared with us on her experience during the earlier part of her career whereby she used to have difficulty to cry when on filming set. LIVE DEMO By The Artistes on how to tackle “Positioning, Dialogues, Responses”! To present the best of yourself through the filming camera, you must learn a few important steps which include Positioning, Conveying Dialogues and Adaptive Responses! During the workshop, the artistes have demonstrated LIVE on how to stand position properly so that the camera could capture you into the scene, how to deliver your dialogue with the appropriate tones in accordance to the scenario and how to respond and adapt to the changes happening on the surroundings! During the workshop, a few questions were asked by the participants and some brave participants have also taken the opportunity to attempt in acting based on the artistes and directors’ instruction. Tiffany mentioned that there was no such opportunity in the past which allows people who love acting to be discovered. “The Ultimate Actor” 非常演员 is a great platform for these passionate people to learn something new as well as chasing their dreams as an actor. Instead of being treated as tutor, Jojo just felt like sharing her experiences to the new talents so that they could understand more about this career. William added that this TV show would provide an alternative and more hands-on experience for the new actors/actresses instead of the need to go through the hard way. If they follow through the usual way, they would need to start from zero, from being a runner, step by step until they are chosen for certain roles. Director 郭福华 pointed out that one problem faced by the new talents are their lack of courage to express themselves. As an actor, you must know how to ask question at the right timing and to the right person. That’s all for my coverage on the “The Ultimate Actor” 非常演员 workshop!